Have you heard the buzz? 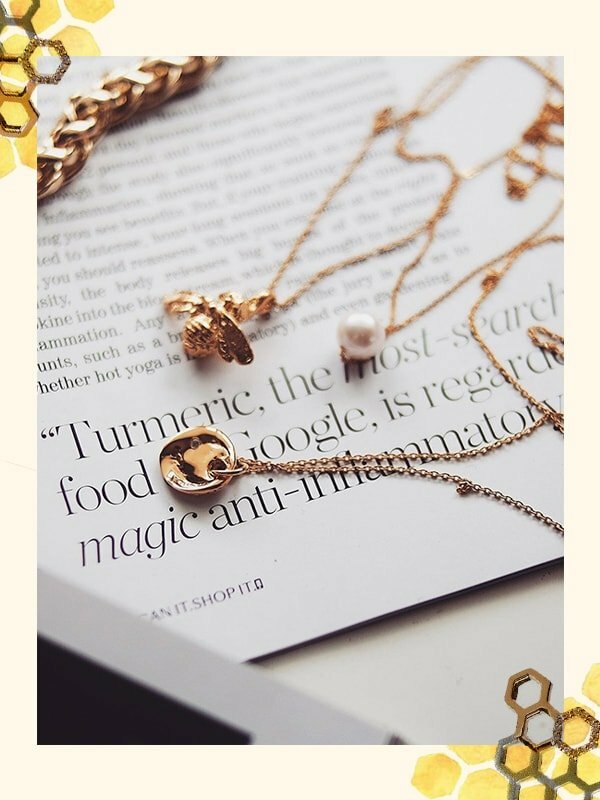 Bees are a swarming the jewellery world and have become a huge trend this year. 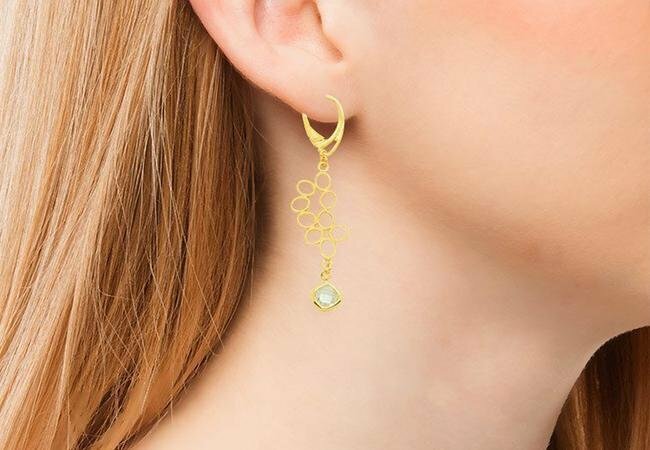 JewelStreet’s independent designers offer items such as bee brooches with complex 3D structures, earrings and cuffs in honeycomb designs, and geometric shapes made from citrine gemstones. This trend is not one you want to let fly past you. Bring the buzz to your jewellery collection with our handmade Honeycomb necklaces, Bumble Bee earrings and beautiful deep honey coloured Citrine rings. The Bee symbolises community, brightness and personal power, and are bringers of good luck and prosperity. 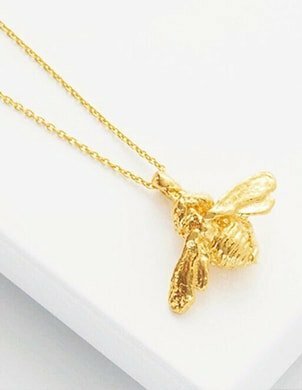 Bee jewellery reminds us to slow down, smell the flowers and taste the super sweet nectar of life, making them the ideal gift for nature lovers. If you love the beauty of nature, there’s no better way to show off your appreciation than with a gorgeous piece of bee-inspired jewellery. Each bee design is a sweet but serious tribute to the extraordinary insect that build their own hexagonal homes, produce healthy honey, and pollinate the crops we depend on every day. Pair a golden bee brooch with a floral dress to recreate a summer scene, or team small bee studs, that hover on your ear, with crispy summer whites to create a beautiful buzz. 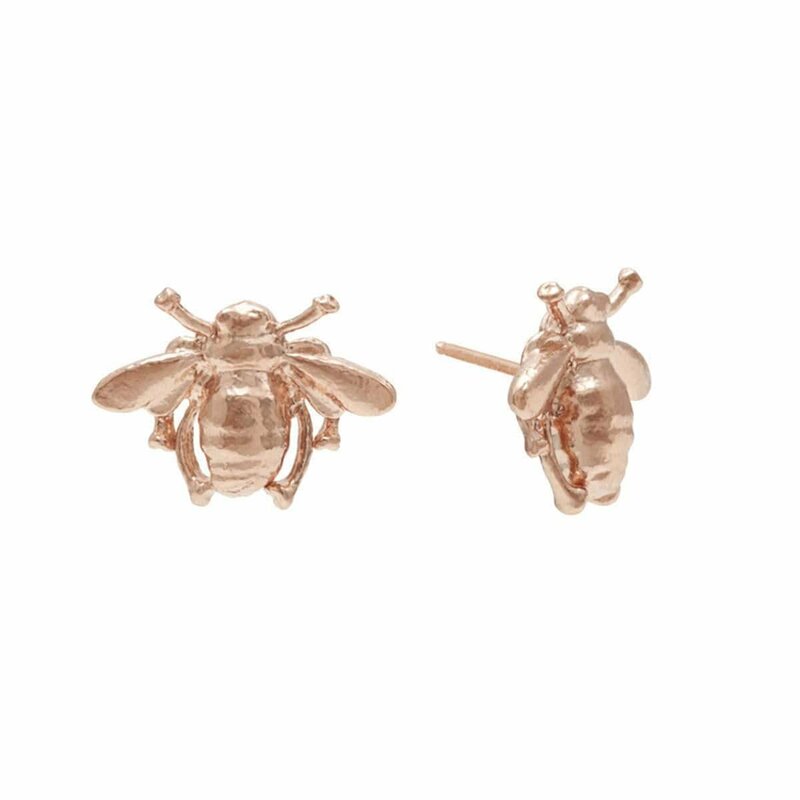 Add some buzzing style to your ears with these little rose gold plated bee stud earrings. They are one of Deborah's most popular designs and are perfect for everyday wear and would be loved by a bee enthusiast of any age. Inspired by keeping honeybees in our garden, this beautiful bangle is made of 18kt gold vermeil and features a tiny bee charm in sterling silver. 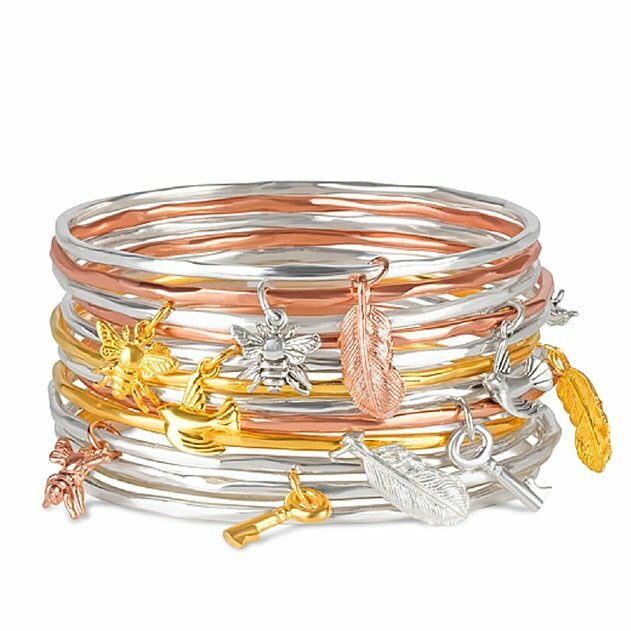 The bangle comes in three sizes and four precious metal combinations, perfect for stacking. Looking to add an essence of summer to your workweek outfit? Have you thought about wearing a pair of honeycomb earrings with smart or casual attire? Or better yet, mix honeycomb pieces with bee-bling and ooze creativity. Honeycomb inspired pieces are elegant yet rustic, and will keep you on trend in a subtle way. 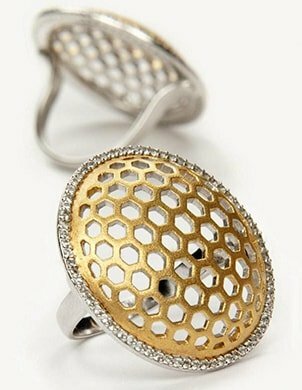 The Rose Gold Plated Sterling Silver Honeycomb Bee Ring by Cosanuova. Focused solely on protection and growth of the hive, the bee shows us the value of sacrificing individual needs to benefit the larger group. 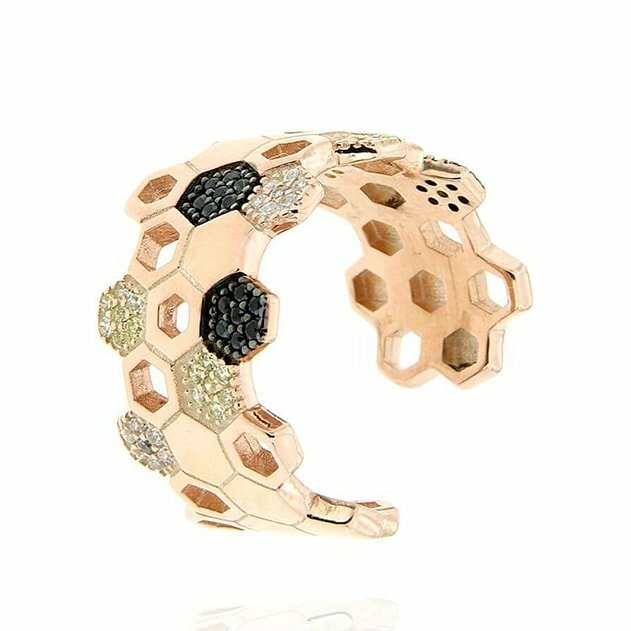 Gia creates luxury jewellery with an edge, she glorifies the naturally occurring shape of the hexagon to create honeycomb inspired jewellery with a contemporary, often scientific, twist. An array of flower jewellery has bloomed this summer season. If you love boho elegance this is the trend that will give you little enchanting gardens to embellish your ears, your hands, your wrists. Luxuriant and naturally harmonious; independent jewellery designers have created extreme accurateness of petals and stems, using a variety of techniques. Their beauty lies in the creation of diverse shapes that are translated into super-feminine pieces. The Beautiful Pearl Eden pendant comes from renowned brand Chekotin Jewellery. This piece is a part of the superb Garden of Eden Collection designed personally by Maria and Alexander Chekotin. They draw the inspiration for their designs from both nature and a life full of travel. These Earrings are handcrafted with 18K gold coat finish and sterling silver. 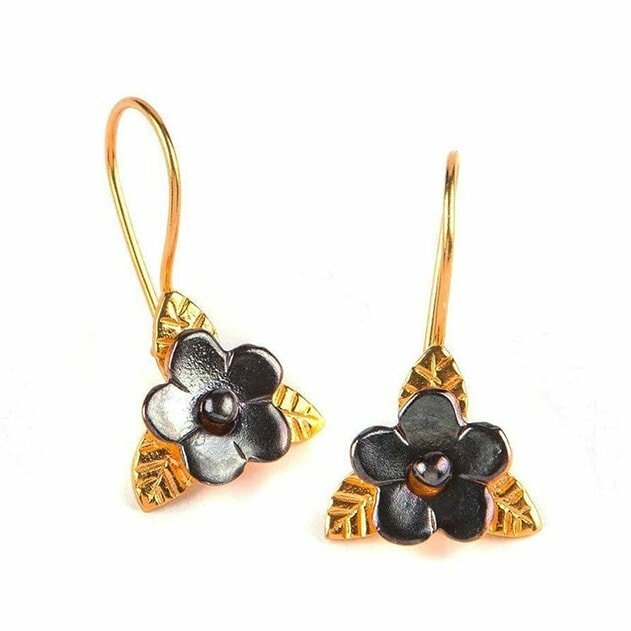 They can be worn individually or mixed and matched with some bee jewellery or a golden honeycomb necklace to create a fun ensemble. Bring a little sunshine to your day everyday. From bright yellows to gorgeous tangerines to deep burnt orange colours, the sparkling citrine gemstone oozes freshness, vitality and happiness. 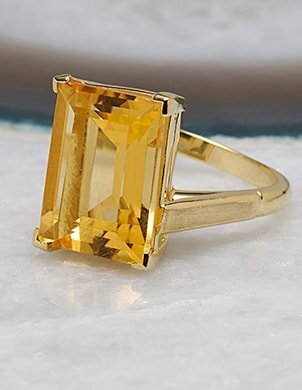 Big, bold and beautiful, the honey coloured citrine gem adds a pop of colour to your collection. From luminous twist rings to 18kt citrine necklace, there is something divine for everyone. 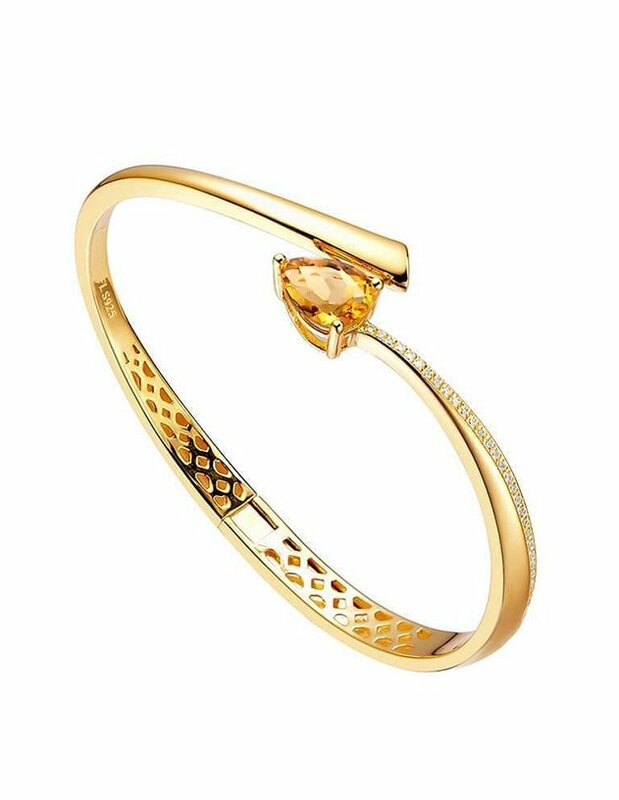 This Citrine bangle has a wonderfully warm honey colour. The vein of 8 hearts and 8 arrows cubic zirconia leading towards the luminous pear-shaped stone denotes the movement of the glowing, burning rock as it trails through the night sky. A stunning and distinctive piece to wear. 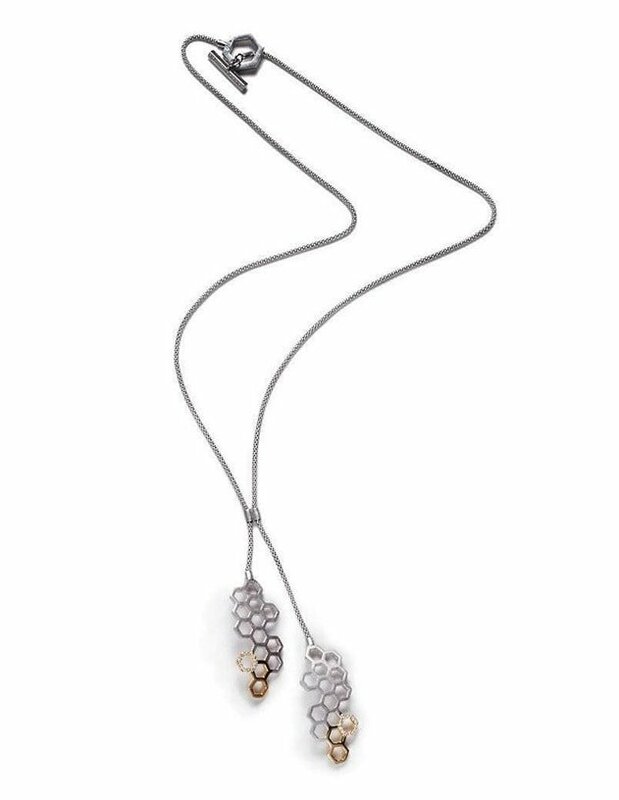 Designer Hinna’s love of gems merges with her busy city life to produce contemporary pieces that are designed to enhance the natural beauty of each gemstone. 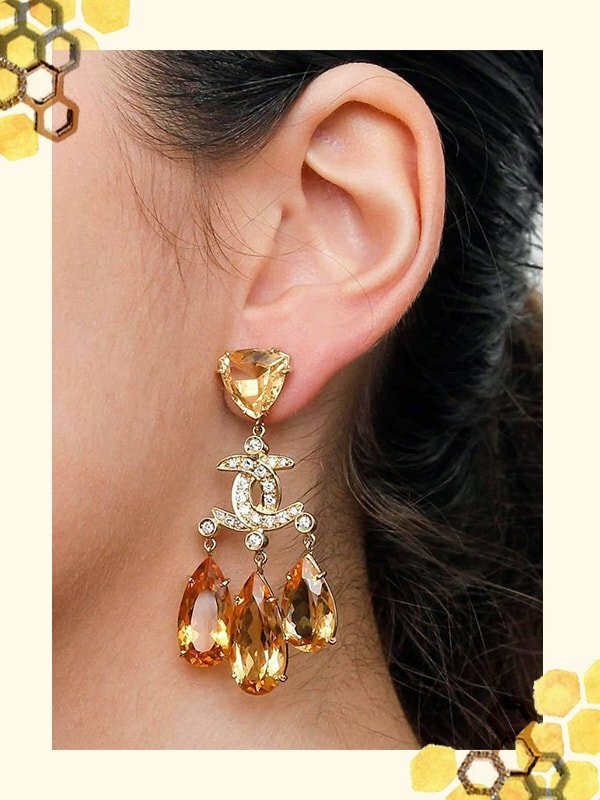 Use citrine gemstones to give your attire the touch it needs to make it look amazing. Blame it on the sunny weather- bumblebees are beginning to swarm the jewellery design landscape once again.